Californians, Elyse & Al’s have always had a soft spot for the ocean! 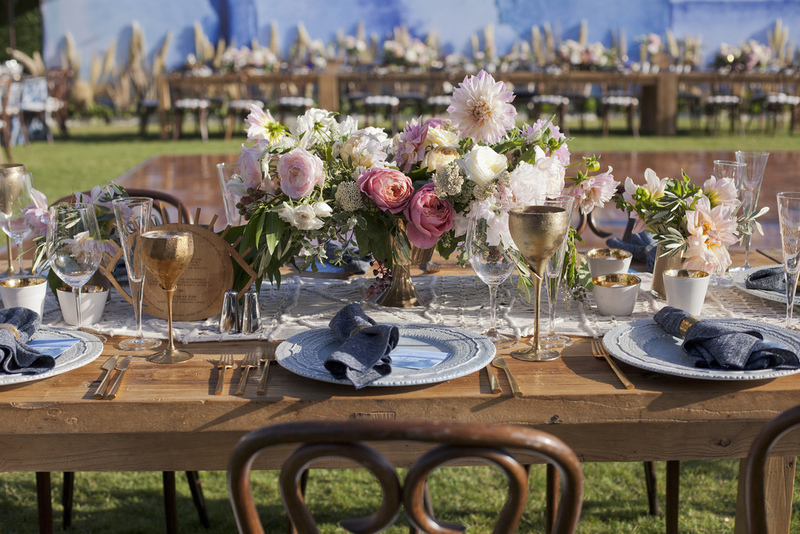 They wanted their wedding suite to be marvelously bohemian with the perfect elegant touch, & oh my, was it ever! Created around the quote "in a sea of people, my eyes always search for you" this lovely suite was inspired by the natural beauty of the ocean. Each piece of the suite portrayed custom watercolor versions of the amazing intricacies found in the oceans natural wonders - geodes, crystals & sea salt. And lets not forget their amazing wedding day itself! Sweet signage full of beautiful blue delights & elegant calligraphy floated throughout their big day. And, we are still crushing on our collaboration with Amorology & Backup Backdrops - an enormous 40ft swell backdrop of our custom watercolor prints! When we say the sky’s the limit to the fun things LPT can do, we mean it!